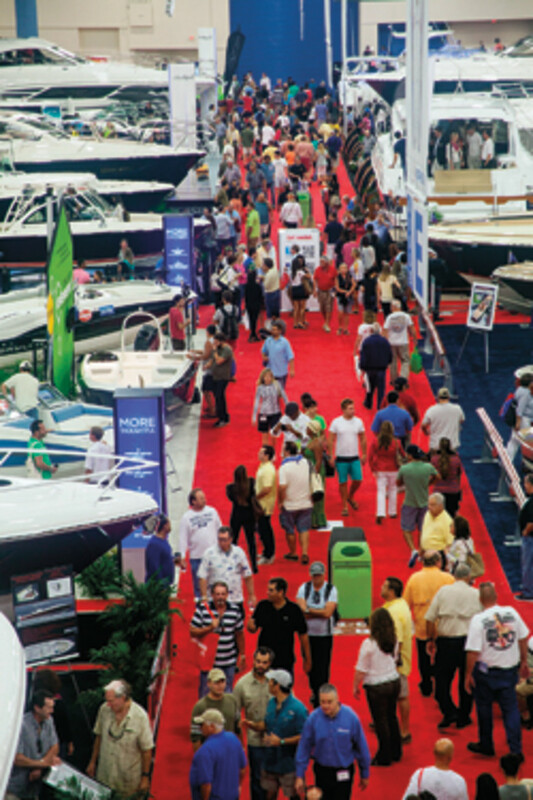 Attendance at the Progressive Insurance Miami International Boat Show and Strictly Sail was up only slightly, but several exhibitors say they had double-digit improvement in sales from last year’s Miami show. “Our sales were up almost double from last year,” says Cobalt Boats sales and marketing vice president Gavan Hunt. 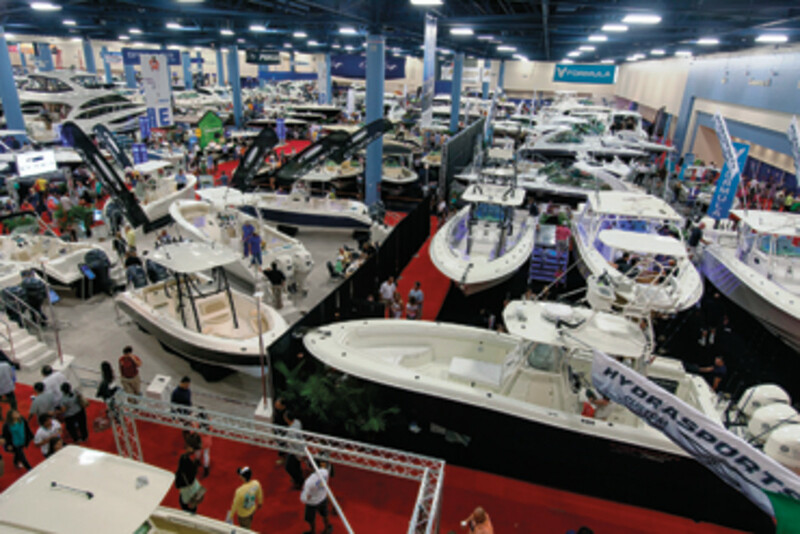 More than 2,000 companies showcased 3,000-plus boats at the Feb. 14-18 show, which is produced by the National Marine Manufacturers Association in three locations — the Miami Beach Convention Center, Sea Isle Marina and Miamarina Bayside. Attendance was up 1 percent, from 100,917 last year to 102,118 in 2013, according to NMMA spokeswoman Sarah Ryser. That figure includes attendance at the Strictly Sail portion of the show, which was 19,742, up 17 percent from 16,892 last year. Of the three locations, the largest is the convention center, which has 2.5 million square feet of exhibition space that uses 1 million square feet of carpet, enough to cover 20 football fields, says show manager Cathy Rick-Joule. The New Yacht and Power Show at Sea Isle Marina showcases hundreds of boats in the water and is the site of hands-on classes presented by the Recreational Powerboating Association, as well as demo rides by various manufacturers. The third location, Strictly Sail Miami at Miamarina Bayside, features sailboats and sailing accessories, as well as live music and free sailboat rides. 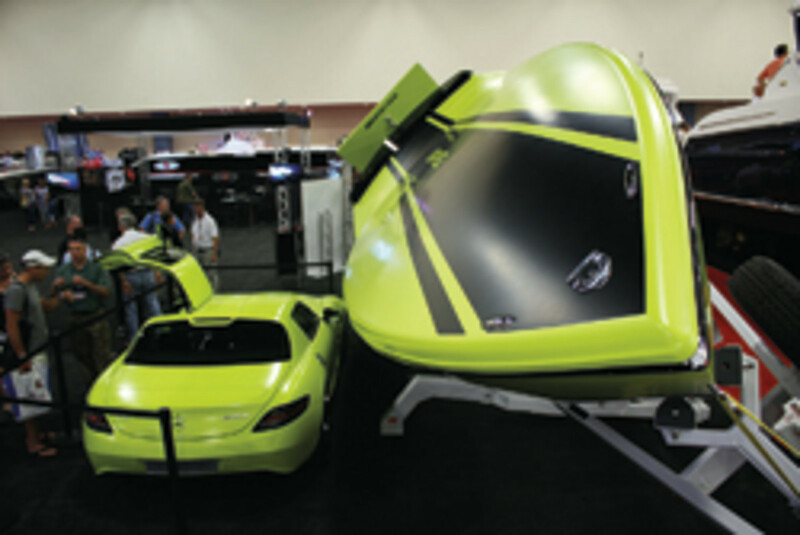 Scout Boats founder and CEO Steve Potts is calling it the most successful Miami show the company has ever had. Orlando doesn’t like to quantify EdgeWater’s success or failure by how many deals are written at the show because, he says, only 5 percent of deals happen at shows and 65 percent are the result of what people saw at shows. “The feedback I’m getting back from dealers who were in Miami, who closed boats there and are following leads, is that most of those deals are sticking, and most of the leads are translating into sales,” Orlando says. 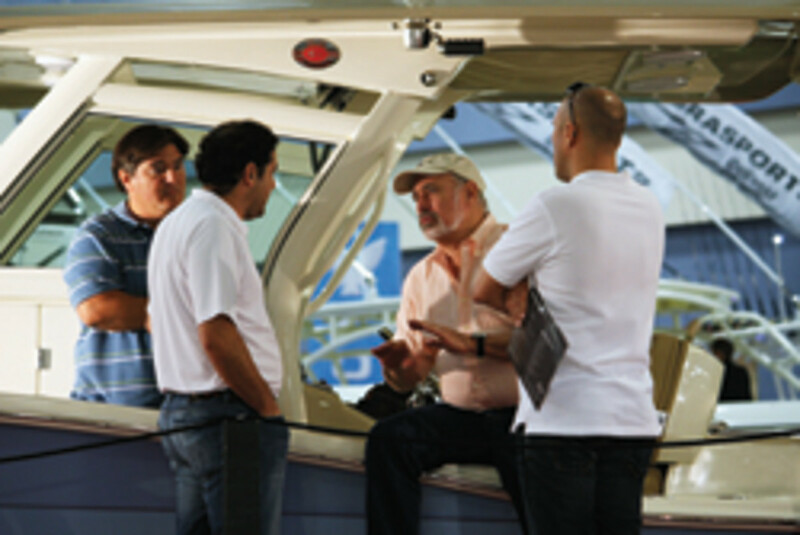 “We had a phenomenal Miami boat show,” says Brunswick Boat Group president Andy Graves. “We’re having great success with Boston Whaler, and the new models have been very well received.” The Dauntless line has “just been spectacular for us,” says Lenn Scholz, Boston Whaler product development director. Sea Ray’s 510 Sundancer, which was unveiled at the Fort Lauderdale International Boat Show and won a 2012 AIM Marine Group Editor’s Choice Award, also has done well; it is sold through the end of the model year, Graves says. The convention center seemed busier than in past years, says Pete Beauregard Jr., president of Michigan-based Colony Marine. Colony founder Pete Beauregard Sr. says this was the first Miami show in years where he has seen people lined up on a weekday to buy tickets to the show, which generates about $1 billion in economic activity for the area. “I thought the people that walked into the booth were highly qualified,” Orlando says. “It was a good crowd all weekend. The Southeast has been so drastically affected by the economy and real estate, so it’s really good to see it starting to bounce back. Thursday was very busy; it seemed like a Friday or a Saturday. I talked with the guys after I’d left, and they said it was the busiest they’d seen in years.” The upbeat attitude was welcome in light of several years that “seemed like a funeral,” he says. Lines also backed up at the Strictly Sail entrance, despite some threatening clouds Friday. Some early rain didn’t dissuade customers in the Marlow-Hunter booth at Strictly Sail, where things were so busy before the storm that not one representative was available. This year’s show was the 72nd annual event. It is scheduled for Feb. 13-17 next year.